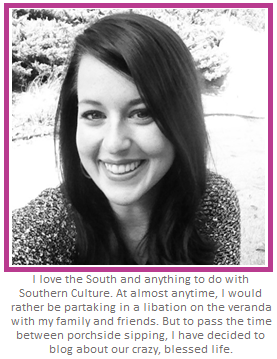 Brandi Nell the Southern Belle: My new treasures! 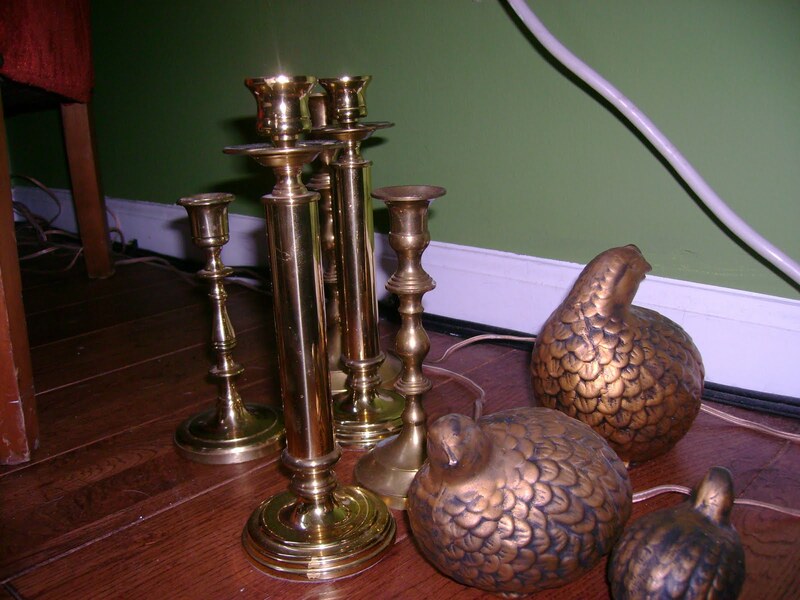 So we had a great weekend and brought home some great treasures from MaMa's house in Swainsboro. There was TONS of stuff for us to sift through - but I am really excited about the items that I got to bring back to Atlanta. 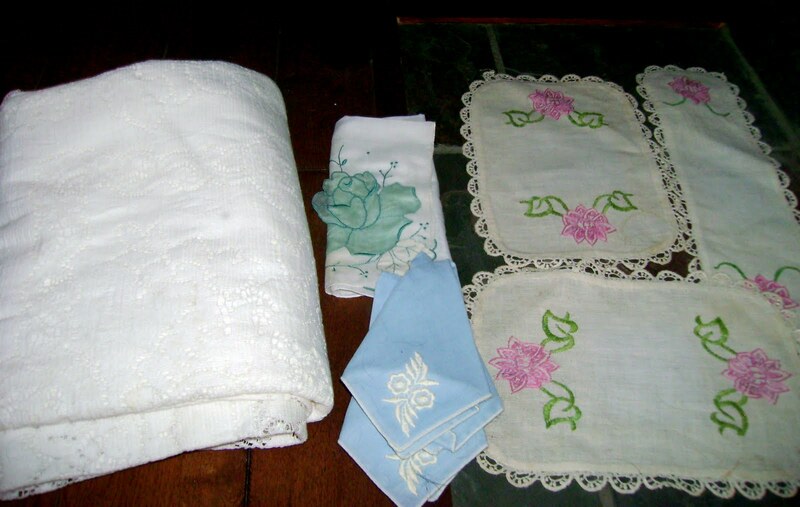 Its so nice to have items in my home that once belonged to my grandmother... small treasures and items to remind me of her! This is going to be another long post with tons of pictures... so bear with me! 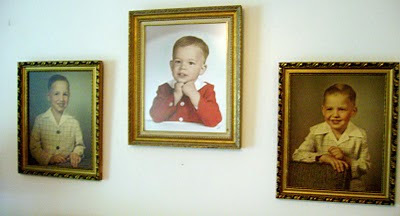 The first items I wanted to show you are the portraits of my Dad and his two brothers. My grandmother had these done when her three boys were young. My Dad, Bill, is on the right (such a cutie!). These portraits will now each go to the corresponding brother, but I wanted to take a picture of where they hung - all together - ONE LAST TIME. 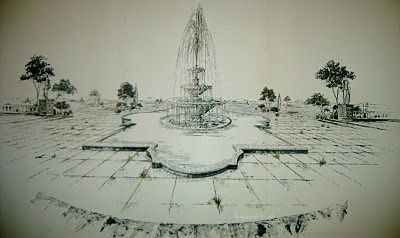 Here is a pic of the "fountain mural" she had in her Dining Room. 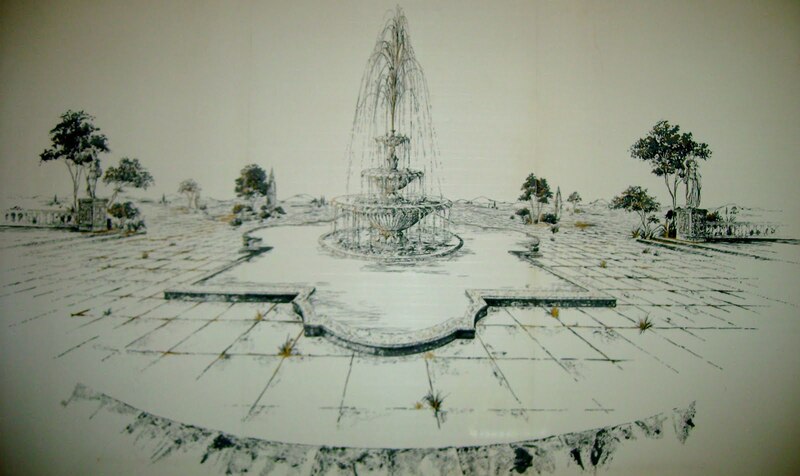 As a child, I always thought this was soooo fancy and beautiful! 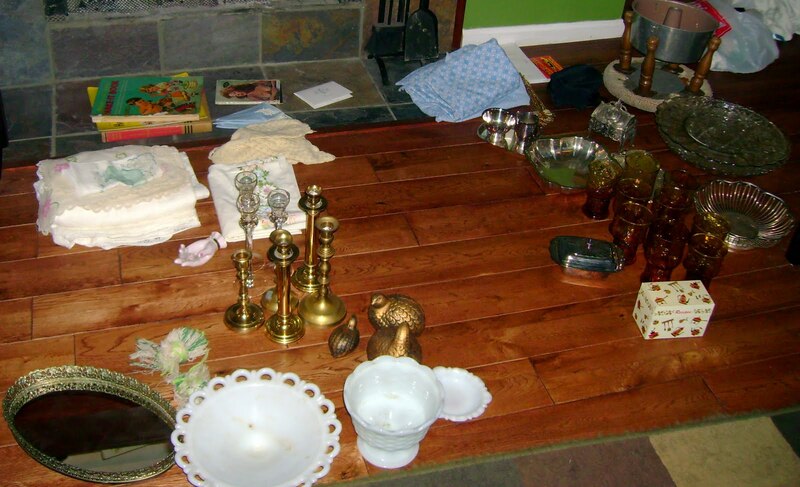 The family has many wonderful memories sitting in that dining room... So I never want to forget it! Okay - So here are a few of the items that I picked out to bring home! 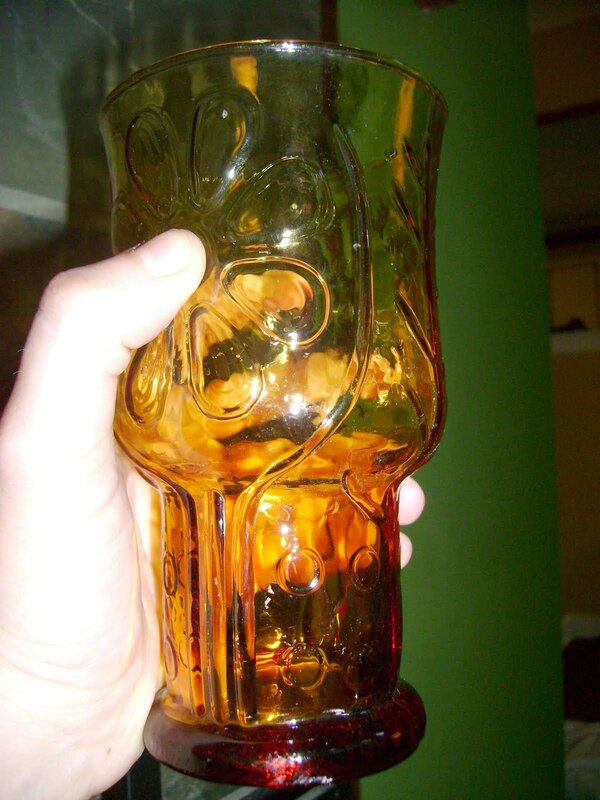 First, amber colored RETRO Drinking glasses. I am loving how fun they are! My FAB "new" sitting chair! 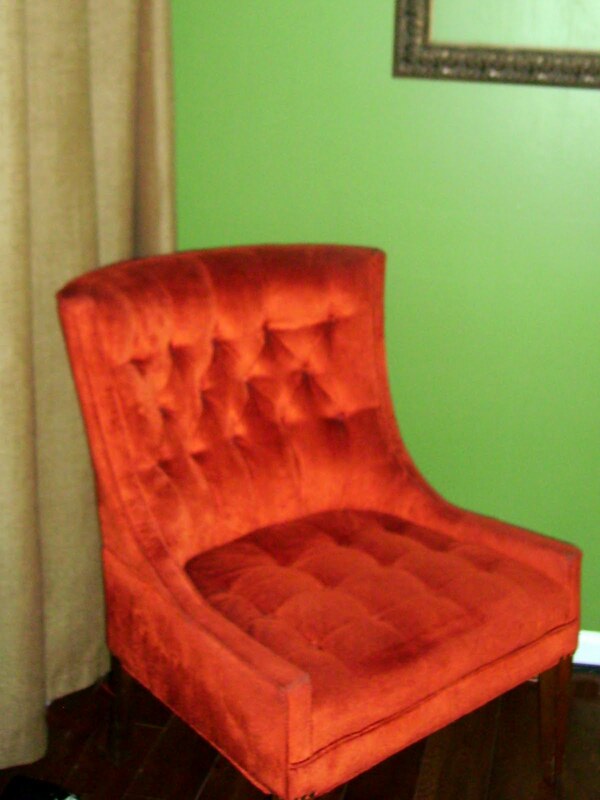 Its orange corduroy - LOVING IT! 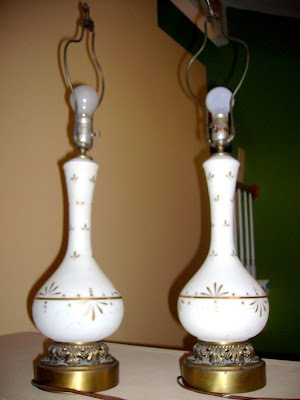 Secondly, these AWESOME Table lamps! 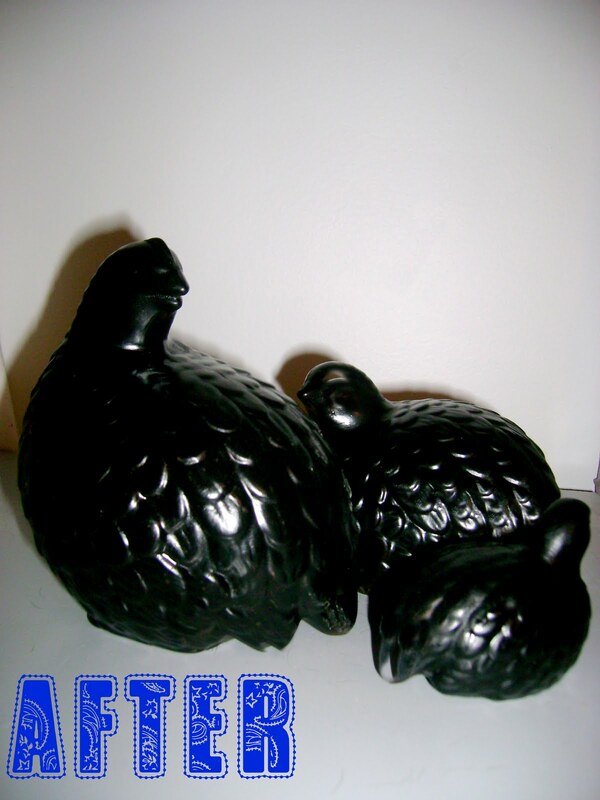 I have to find a LARGE drum shade for them in a fun color. These were in my grandmother's bedroom... I love the vintage look of them! Some Milk Glass pieces - I always have loved the look of milk glass. The mess in my living room floor... 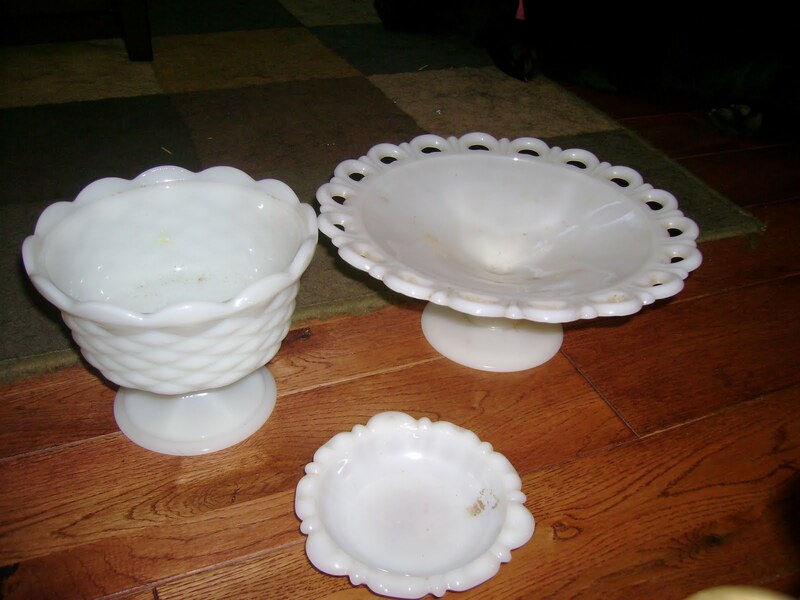 I am so excited about the glass serving dishes and the silver items... but I have a TON of cleaning and polishing to do! YIKES! A can of spray paint and five minutes? 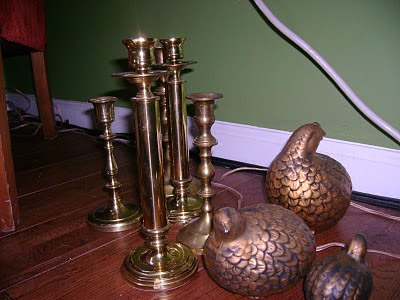 ... NEW CANDLESTICKS! I also got a wooden rocking chair that needs to be spruced up, as well as some childrens' books, and a baby sweater... While I am NOT expecting - I am happy to have these items for when the time comes. Love the pictures. I finished the sideboard buffet yesterday. I used four steps to clean it. I worked on it all day and it turned out fantastic. It coordinates with my dining table perfectly. I just have to hang the mirror above it. I have spent all day today polishing silver. Lots of work but well worth it. 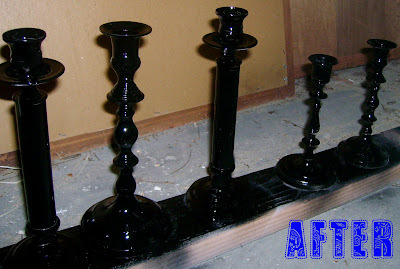 I love the birds painted black and the candlesticks look great. MaMa would be so proud.